PLEASE READ THESE TERMS AND CONDITIONS carefully before using this website (‘the Site’). These Terms and Conditions apply to all visits and use of the Site, as well as to the Content (as defined hereafter), information, recommendations and/or services provided to you on or through the Site. By accessing and using the Site, you signify your consent to these Terms and Conditions in their entirety in addition to any other law or regulation that applies to the Site, the Internet, and/or the World Wide Web. If you don’t want to be bound by the terms, you must not subscribe to use our services. These "Conditions of Use" constitute an electronic record within the meaning of the terms of Information Technology Act, 2000. This electronic record is generated by a computer system and does not require any physical or digital signatures. Please review our Privacy Notice, which also governs your visit to Website, to understand our practices. The personal information / data provided to us by you during the course of usage of Website will be treated as strictly confidential and in accordance with the Privacy Notice and applicable laws and regulations. If you object to your information being transferred or used, please do not use the website. If you use the Website, You shall be responsible for maintaining the confidentiality of your Display Name and Password and you shall be responsible for activities that occur under your Display Name and Password. You agree that if you provide any information that is untrue, inaccurate, not correct or incomplete or We have reasonable grounds to suspect that such information is untrue, inaccurate, not correct or incomplete, or not in accordance with the this Terms Use, We shall have the right to indefinitely suspend or terminate or block access of your membership on the Website and refuse to provide You with access the Website. You should inform us immediately if you have any reason to believe that your password has become known to anyone else, or if the password is being, or is likely to be, used in an unauthorised manner. The Site is owned and operated by Kryolan Cosmetics (India) P. Ltd. All of the content featured or displayed on the Site, including, but not limited to, text, graphics, photographs, images, moving images, sound, illustrations and software ("Content"), is owned by Kryolan Cosmetics (India) P. Ltd. and/or its group companies (hereinafter in this document ‘Kryolan’), its licensors and/or its content providers. All elements of the Site including, but not limited to, the general design and the Content, are protected by trade dress, copyright, moral rights, trademark and other laws relating to intellectual property rights. Except as explicitly permitted under this or another agreement with Kryolan, no portion or element of the Site or its Content may be copied or retransmitted via any means and the Site, its Content and all related rights shall remain the exclusive property of the relevant member of the Kryolan group of companies or its licensors unless otherwise expressly agreed. Websote, the logo and other marks indicated on our website are trademarks or registered trademarks of Kryolan group. Website graphics, logos, page headers, button icons, and product names are the trademarks of Kryolan GmbH and Kryolan Cosmetics (India) P. Ltd. Kryolan's trademarks and trade dress may not be used in connection with any product or service that is not Kryolan's, in any manner that is likely to cause confusion among customers or in any manner that or discredits Kryolan. The copyright in all Content is and remains owned by Kryolan. Except as may be otherwise indicated in specific documents within the Site, you are authorized to view, play, print and download documents, audio and video found on the Site for personal, informational, and non-commercial purposes only. You may not modify any of the materials and you may not copy, distribute, transmit, display, perform, reproduce, publish, license, create derivative works from, transfer or sell any Content. Except as authorized under the law relating to copyright, you may not reuse any Content without first obtaining the consent of Kryolan. For purposes of these terms, the use of any such material on any other website or networked computer environment is prohibited. You will not remove any copyright or other proprietary notices from material found on the Site. In the event you download software (including but not limited to screensavers, icons, videos and wallpapers) from the Site, the software, including any files, images incorporated in or generated by the software, and data accompanying the software (collectively, the "Software") are licensed to you by Kryolan. Kryolan does not transfer title to the Software to you. You own the medium on which the Software is recorded, but Kryolan retains full and complete title to the Software, and all intellectual property rights therein. You may not redistribute, sell, decompile, reverse engineer, disassemble, or otherwise reduce the Software to a human-readable form. You hereby expressly agree to receive communications by way of SMS, e-mails from Website relating to Services provided. A User can unsubscribe/ opt-out from receiving communications from the Website anytime via: Newsletters sent periodically at the registered email address, by clicking on the unsubscribe option attached at the bottom of newsletter received through e-mail. Use of Website is available only to persons who can form a legally binding contract under the Indian Contract Act, 1872. If you are a minor i.e. under the age of 18 years, you may use Website only with the involvement of a parent or guardian. You shall indemnify Kryolan Cosmetics (India) P. Ltd., its subsidiaries, affiliates and their respective officers, directors, agents and employees, from any claim or demand, or actions including reasonable attorney's fees, made by any third party or penalty imposed due to or arising out of your breach of these Conditions of Use or any document incorporated by reference, or your violation of any law, rules, regulations or the rights of a third party. You release and indemnify Kryolan Cosmetics (India) P. Ltd. and/or any of its officers and representatives from any cost, damage, liability or other consequence of any of the action of the Users of the Website and specifically waive any claims that you may have in this behalf under any applicable law. Notwithstanding its reasonable effort in that behalf, Kryolan Cosmetics (India) P. Ltd. cannot take responsibility or control the information provided by other Users which is made available on the Website. You may find other User's information to be offensive, harmful, inconsistent, inaccurate, or deceptive. Please use caution and practice safe trading when using the Website. Please note that there could be risks in dealing with underage persons or people acting under false pretence. Kryolan maintains the policy of not reviewing or accepting any unsolicited submissions of ideas, inventions, designs and/or other materials whether consisting of texts, images, sounds, software, information or otherwise (the "Materials") from persons external to Kryolan. You should therefore not post any Materials on the Site or send these to Kryolan by e-mail or otherwise. From time to time Kryolan makes it possible to view and distribute content generated by you, for instance through e-postings and sending postcards to others persons. If you make use of this you acknowledge that Kryolan only acts as a passive conduit for the distribution and is not responsible and liable for the content of the communications and materials generated by you or other users. Kryolan reserves the right at its sole discretion to block or remove any communications and materials it believes is not in accordance with these Terms and Conditions, or otherwise unacceptable to Kryolan. The site and the content are provided “as is” and without any warranties of any kind, whether express or implied, including but not limited to, implied warranties of satisfactory quality, and non infringement, to the fullest extent permitted by law. The information on this site is for general information purpose only and does not constitute advice. Kryolan does not represent or warrant that the information and/or facilities contained in the site are accurate, complete or content, or that the site will be uninterrupted or error free or that site or that the site or the server are free from viruses or other harmful components. Kryolan does not make any warrantees or representations regarding the use of the materials in the site in terms of their correctness, accuracy, adequacy, usefulness, timeliness, reliability or otherwise, in each case to the fullest extent permitted by applicable law. Kryolan reserves the right to suspend or withdraw the whole or any part of the site at any time without notice without incurring any liability. Your use of the site is at your own risk. neither Kryolan, nor any of its affiliates, officers, directors nor any of its agents or any other party involved in creating, producing or delivering the site will be liable for any direct, indirect, special, consequential or other damages that result from the use of, or the inability to use, the materials on the site, including damages caused by viruses or any incorrectness or incompleteness of the information on the site, or the performance of the products, even if Kryolan has been advised of the possibility of any such damages. Please note that some jurisdictions may not allow the exclusion of certain damages, so some of the above exclusions and limitations may not apply to you. Kryolan may make online ordering services available to users. By submitting a completed order for Kryolan products (the “Products”) you offer to purchase the Products you select and submit to Kryolan through the online order form. Kryolan may accept your order by sending you an electronic order confirmation that your order has been accepted, and Kryolan may reject your order in its sole discretion. The delivery of products is solely limited to India and in common household quantities. If Kryolan accepts your order, you authorize Kryolan or its vendors or agents to bill your credit card (or other alternative payment method offered by Kryolan and selected by you) the current fees and charges for each Product chosen by you. When you provide bank card information, account numbers or other information necessary to facilitate payment to us or our vendors, you represent to us that the information is accurate, complete, and current, and that you are the authorized user of the bank card that is used to pay for the Products and services. In the event legal action is necessary to collect on balances due, you agree to reimburse Kryolan and its vendors or agents for all expenses incurred to recover sums due, including attorneys’ fees and other legal expenses (including on appeal). To provide a safe and secure shopping experience, we regularly monitor transactions for fraudulent activity. In the event of detecting any suspicious activity, Kryolan reserves the right to cancel all past, pending and future orders without any liability. Kryolan also reserves the right to refuse or cancel orders in scenarios like inaccuracies in pricing of product on website and stock unavailability. We may also require additional verifications or information before accepting any order. We will contact you if all or any portion of your order is cancelled or if additional information is required to accept your order. If your order is cancelled after your card has been charged, the said amount will be reversed to your Card Account. Any promotional voucher used for the cancelled orders may not be refunded. Details of our Products are available on the Website. Kryolan attempts to describe its Products as accurately as possible. However, Kryolan does not warrant that Product descriptions are accurate, complete, current, or error-free. All features, content, specifications, Products, and prices described on the Website are subject to change at any time without notice. Certain weights, measures and similar descriptions are approximate and provided for convenience purposes only. Packaging may vary from that shown. We make reasonable efforts to accurately display the attributes of our Products, including the applicable colors; however, the actual color you see will depend on your computer system, and we cannot guarantee that your device will accurately display such colors. The inclusion of any Products or services on the Website at a particular time does not imply or warrant that these Products or services will be available at any time. We reserve the right, without prior notice, to limit the order quantity on any Product or service and/or refuse service to any customer. 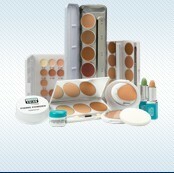 You are responsible for notifying Kryolan in case of lost shipments. Please promptly inspect your ordered Product(s) for any damage when your order arrives. If damage occurred to the Product(s) in your delivery, you are responsible for notifying us. Please provide your order number and contact information at that time. Please retain the shipping box, packing materials, and damaged items for later inspection. Any dispute arising out of or relating to the website, its contents, the products, or the terms (including interpretation or breach of the terms), or to the existence, scope, or validity of the terms or this provision, including the nature and extent of the issues to be arbitrated, will be settled by confidential arbitration through the ICA (Indian Council of Arbitration) based in New Delhi. However that to the extent you have in any manner violated or threatened to violate us or our affiliate’s intellectual property rights or otherwise have a cause of action in equity, we may seek injunctive or other appropriate relief in any court of competent jurisdiction, and you consent to jurisdiction and venue in any such court for that purpose. The decision of the arbitrator will be final and binding on all persons affected by the decision. Judgment upon the arbitration award may be entered in any court having jurisdiction. Except as otherwise provided herein, these Terms are the entire agreement between you and Kryolan, and supersede any prior understandings or agreements, written or oral. Title and risk of loss for all products ordered by you shall pass on to you upon Website’s shipment to the shipping carrier. Your feedback does not contain confidential or proprietary information of you or of third parties; Website is not under any obligation of confidentiality, express or implied, with respect to the feedback; This policy is intended to avoid the possibility of future misunderstandings if projects developed by Kryolan seem similar to ideas contained in your Submissions. Your order is an offer to us to buy the product(s) in your order. When you place an order to purchase a product from us, you will receive an e-mail confirming receipt of your order and containing the details of your order (the "Order Confirmation E-mail"). The Order Confirmation E-mail is an acknowledgement that we have received your order, and does not confirm acceptance of your offer to buy the product(s) ordered. Your contract is with us and you confirm that the product(s) ordered by you are purchased for your internal / personal purpose and not for re-sale. You authorize us to declare and provide declaration to any governmental authority on your behalf stating the aforesaid purpose of the products ordered by you on the website. We list availability information for products sold by us on the website, including on each product information page. Beyond what we say on that page or otherwise on the website, we cannot be more specific about availability. Please note that dispatch estimates are just that. There are no guaranteed dispatch times and should not be relied upon as such. As we process your order, you will be informed by e-mail if any products you order turn out to be unavailable. For the purposes of buying any item listed on website, you agree and undertake not to make payments in any manner other than as provided, without the prior consent of the Company .You acknowledge and accept that you have specifically authorized the Company to collect, process, facilitate and remit payments and/ or the Transaction Price by any of the prescribed methods of payment through Payment on Billing or Payment on Delivery to and from other Users in respect of Transactions. When an order is placed, it will be delivered to an address designated by you as long as that delivery address is compliant with the shipping restrictions contained on the Website. We cannot accept shipments to P.O. boxes, freight forwarders. Indian based business or residential addresses are only permitted. A delivery fee may apply to Products delivered to you by Kryolan, and by placing an order you agree to pay such fee. Risk of loss and title for items purchased from the Website pass to you upon delivery of the Products to you. If delivery is available, Kryolan will estimate the time of delivery; however, Kryolan specifically disclaims any liability with regard to late deliveries. Occasionally, the manufacture or distribution of a certain Product or service may be delayed for a number of reasons. In such event, we will make reasonable efforts to notify you of the delay and keep you informed of the revised delivery schedule. By placing an order, you represent that the Products ordered will be used only in a lawful manner and in accordance with these Terms. PRO CARD members may receive their benefits as applicable. In the case of damaged or defective Product (including delivery of an incorrect Product), you must notify Kryolan of such damage promptly after the receipt of the Product.